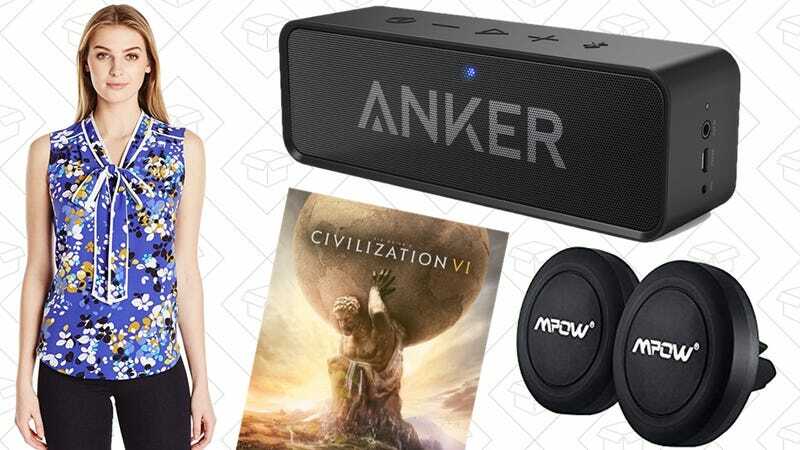 Your favorite Anker audio products, Civilization VI, and spring clothing for Prime members lead off Monday’s best deals. 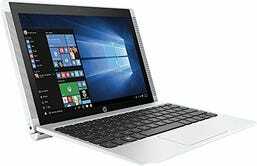 Amazon’s running a one-day sale on refurbished HP computers, and while most of the options are decidedly low-end, there are a few options worth checking out. This $121 tower is the cheapest option in the entire sale, and with good reason. 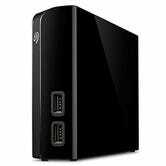 But throw a bigger hard drive in there, and it could make a decent home theater PC. This $229 laptop is also interesting, as its screen can detach from the keyboard and turn into a fully functional tablet. Is there anything else worth buying in this sale? Let us know what you think in the comments. Your favorite USB car charger just happens to be the smallest one you can buy, and you can grab it on Amazon for $7 today with code AUKECAR7. That’s about as cheap as it ever gets, so pick one up if it’s been on your wish list. 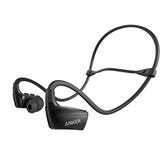 Anker makes our readers’ favorite affordable Bluetooth speaker and Bluetooth earbuds, and both are on sale today on Amazon. 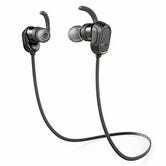 The SoundBuds were my go-to Bluetooth earbuds until I got a pair of AirPods, and the SoundCore in particular is notable for its impressive bass and 24 hour battery life. eBay’s 20% electronics sale covers a ton of products, but the best deal we’ve seen is on a refurbished GoPro Hero5 Black. Considering the HERO4 Black sold for $500 when it launched, and the similarly specced HERO5 retails for $400, $203 is an insanely good deal deal. Yes, it’s a refurb, but you still a full 1 year warranty from GoPro, so I wouldn’t worry about that too much. Just remember to pay with PayPal, and use promo code PSHOPTECH417 to get the deal. One day, we might get representatives in Washington that value their constituents’ privacy over corporate profits, but until then, it’s as good a time as any to sign up for a VPN service. Luckily, it costs less per month than a typical trip to Starbucks. NordVPN has long been one of the most popular and reliable VPN providers out there, and if you sign up for a one-year membership, promo code VIP70 will drop your annual price from $69 to $48. If you’re sure you want to commit, use this link instead to get a special two year plan for $72 with code 2YSpecial2017. Lifehacker has recommended Nord in some previous guides, but if you have any firsthand experience with the service, sound off in the comments! If you want to build a home theater PC, you won’t find a better starting point than Intel’s Next Unit of Computing kits. This tiny box contains a quad core Intel processor, a couple display outputs, and integrated Wi-Fi and Bluetooth antennas, all for $144. 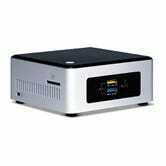 The catch is that you’ll need to add RAM and storage to get it up and running, but once you do, you can install XBMC, Kodi or Plex, and start streaming. $144 is within $4 of the best price Amazon’s ever listed on this model, but it’s only available for Prime members. Whether you’re looking to start a podcast, or just want your Skype calls to sound better, the Blue Snowball is one of the most popular affordable USB microphones you can buy, and Amazon’s offering the murdered out black version for for $40 today, or about $10 less than usual. News flash: 8TB external drives exist, and you can get one for $180. This model from Seagate even includes a pair of USB ports on the front, which let you plug in another hard drive if you want, or just recharge your phone at work. eBay just kicked off another of its wide-ranging discount codes, this time good for 20% off any $25+ order (maximum $50 discount) a variety of electronics, including GoPro cameras, DJI drones, and more. Head over here to see the full list of eligible sellers, and be sure to use code PSHOPTECH417 at checkout to get your discount. 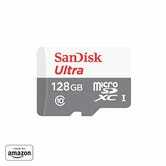 If you still own any of those old-timey doohickeys and doodads that still use full-sized SD cards rather than microSD, Amazon’s top-selling card is just $10 for 32GB right now, an all-time low. Our readers recently named Anker PowerPort as their favorite line of USB charging hubs, and the PowerPort Speed 5 is on sale for $25 today, one of the best prices we’ve ever seen. 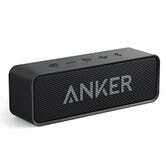 This particular model includes a Quick Charge 3.0 port to juice up compatible Android devices up to 80% faster. Need a lot of extra storage for your Nintendo Switch or action cam? 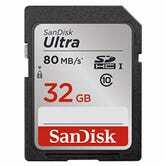 The advent of 200GB+ cards means that 128GB cards, which until relatively recently sold in the $60-$80 range, are finally inching towards affordability. 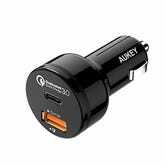 This $9 Aukey car charger includes both Quick Charge 3.0 and a USB-C port, making it one of the most forward-looking car chargers out there. This would be an amazing price for a charger with just one of those features, so to get them both for under $10 is pretty remarkable. Casper might be the best mattress for everyone, but not for your houseguests. Put them on this discounted Insta-Bed, marked down to $96 today on Amazon. 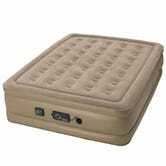 That’s more than you’d pay for most air mattresses, but this one includes a built-in never-flat pump which silently trickles more air into the mattress overnight, meaning it’ll still be fully inflated come morning. If that’s not a miracle, I don’t know what is. It’s been cheaper before, but this is the best price Amazon’s listed in a few months, if you have any use for it coming up in the near future. I only noticed it because I’ll be moving next month, and won’t have my mattress for a few days. If you’ve ever eaten at a nice steakhouse, you were probably eating sous-vide meat. Here’s a secret though: It’s really easy to get those kinds of results yourself, and MassDrop here to help with a $140 deal on the newest Wi-Fi version of Anova’s top-selling immersion circulator. Amazon had this same model for $1 more a couple weeks ago, and it sold out almost instantly, so this is a great second chance if you missed out. Life’s too short to vacuum every other day, but luckily, you can pawn that tedious chore off to a Roomba, and the entry level 650 model is marked down to $300 today on Amazon, which is the best price we’ve seen outside of last year’s $274 holiday promotion. 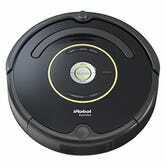 I have the similar Roomba 770, and while it does require a bit of babysitting from time to time, I hardly ever manually vacuum anymore, and yet the floors always feel clean, even with two pets. One of the only downsides of cast iron pans is that they can be a nightmare to clean, but this chainmail scrubber can scrape away caked-on food without hurting your seasoning, or resorting to soap. No wonder a similar item is in our bestsellers club. Today’s $10 deal isn’t on the brand we usually post, but it’s one of the best prices we’ve ever seen on an item like this. You all have undoubtedly seen (and probably purchased) these magnetic smartphone vent mounts by now, but why buy a 2-pack? My advice: Keep one in your car, and one in your luggage, because these are awesome for rental cars, and also work as handy phone stands on airplane tray tables if you want to watch a movie. Zippo lighters great for fidgeting as well as lighting things on fire, and this simple chrome model is down to its lowest price of the year. Don’t forget the lighter fluid, if you need it. 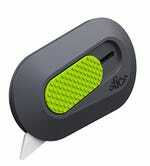 This tiny box cutter uses a ceramic blade that should last much longer than a typical steel razor blade, and you can pick one up for just $8 from Amazon. 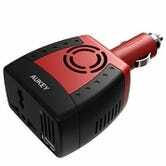 Everyone should keep an inverter in their glove box for powering laptops and other electronics in the car, and $10 is a great price for this 150W model from Aukey. 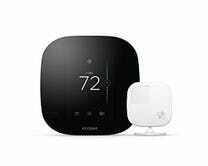 While Nest basically invented the smart thermostat market, many people (including myself) would tell you that the Ecobee3 thermostat is superior to the Nest, owing to its remote sensor that measure the air temperature at another point in your home. I also usually sells for $250, but it’s available for $197 this month. Yes, it should be all about spring cleaning your wardrobe, but what about finding new things to fill the gaps you created? Amazon wants to help you out with their sale on women’s spring styles. Prime Members can shop spring tops, bottoms, dresses, and more for up to 50% off normal prices. But this is a Gold Box (and Prime exclusive) so once today’s over, it’s gone. I made the mistake of leaving my sunglasses at my apartment yesterday as I traveled to my parent’s house for Easter and I immediately regretted not keeping a spare in my bag. Don’t do what I did and pick up a couple extra pairs of sunglasses from Sunglass Warehouse’s 30% off sale. Use the code LOST30 at checkout. If you need some really great home decor on the cheap, Society6 is your best friend. The already-affordable art and decor site is giving an extra 20% off everything they sell, plus free shipping, until midnight (PT) tonight. It’s no shame if your apartment is bare bones, because home decor is so damn expensive. But it’s about time to fill it up with things that aren’t left over from your dorm room or something your friends gave you at your housewarming party. $5 per pair is about as cheap as you’ll ever see good (i.e. not cotton) boxer briefs, so stock up. The Force Awakens has been basically immune to discounts since it came out on Blu-ray last year, but if last week’s The Last Jedi trailer release made you want to rewatch it, $18 is a solid price for the Blu-ray/digital combo. Earlier Civilization games feature prominently in just about every PC gaming sale under the sun, but the price tag for Civ VI has been remarkably stubborn. Today though, Amazon’s offering it up for $40, the best price they’ve ever listed. Also available at Green Man Gaming. We don’t know how long this deal will last, so download a copy before Gandhi has to nuke you. The trouble with reviewing a Civilization game is that they’re always good. Humble Bundles are usually centered around PC games, or occasionally Android, but the Humble THQ Nordic bundle is all about the PlayStation. 15 PS4 and PS3 downloadable titles are spread across three different price tiers, including several Darksiders games and Destroy All Humans. $15 unlocks everything, but as always, you get to pay whatever you want, and a portion of the proceeds will go to charity. Update: This is cheaper on Xbox Live for Xbox One owners, though you’ll have to buy episodes 1-5 and 6-8 separately. Telltale’s Minecraft: Story Mode is better than it has any right to be, and you can own the complete adventure for $20 on PS4 and Xbox One today, an all-time low. Humble’s newest bundle is just for Android owners, with up to eight DRM-free mobile games included. You’ll need to pay $6 to get all of the games, but you’ll get Grim Fandango Remastered and Machinarium regardless of how much you pay, and even the excellent Her Story is bundled with the $4 middle tier. Xbox Live Gold is basically a requisite add-on for your Xbox One, but don’t get suckered into paying the full $60. While supplies last, here’s an entire year for $41. PS4 owners can book their ticket back to Skyrim for $25 today, complete with all of its DLC, and even mods. That price is valid for everyone, even if you have low speech skill. It’s a first world problem, but I hate waiting for my Xbox One controller to turn on and sync to the console just to pause a Netflix video. 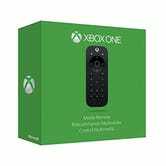 If that’s driving you crazy as well, this always-on media remote is only $19 today on Amazon, about $6 less than usual. Prime members can preorder and save 20% on Mario Kart 8 Deluxe for their Nintendo Switch, which isn’t unusual (that benefit applies to all preorder and new release games), but if recent history is any indication, they could very well sell out of copies prior to launch. As always, you won’t see the discount until checkout.